"Love to ride bikes and try tasty treats from local shops? 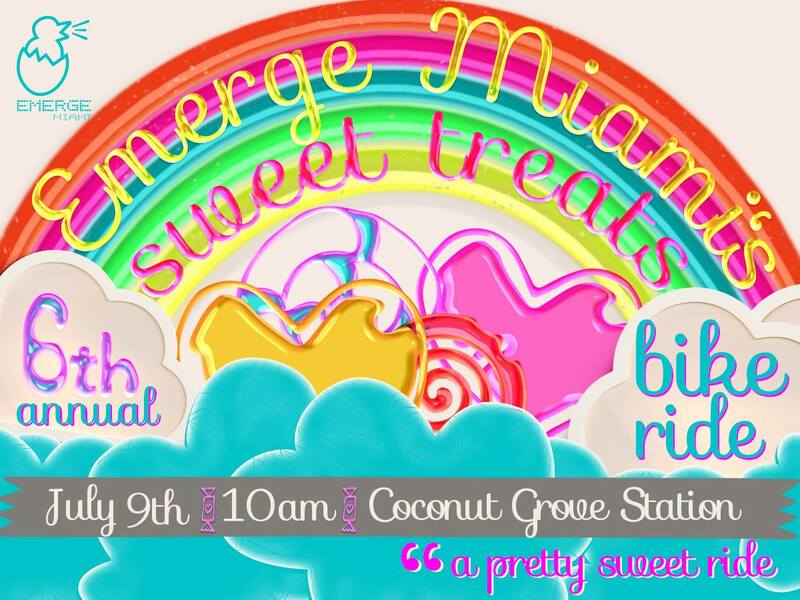 Join your friends from Emerge Miami for our 7th Annual Sweet Treats Ride! Enjoy an leisurely ride to three special shops in the Coral Gables and South Miami areas: Omg Brigadeiros, Walls Old Fashioned Ice Cream, and Jake & The Cake. Be sure to bring plenty of water, wear plenty of sunscreen, and be prepared to support local businesses by buying plenty of specially-crafted snacks!"